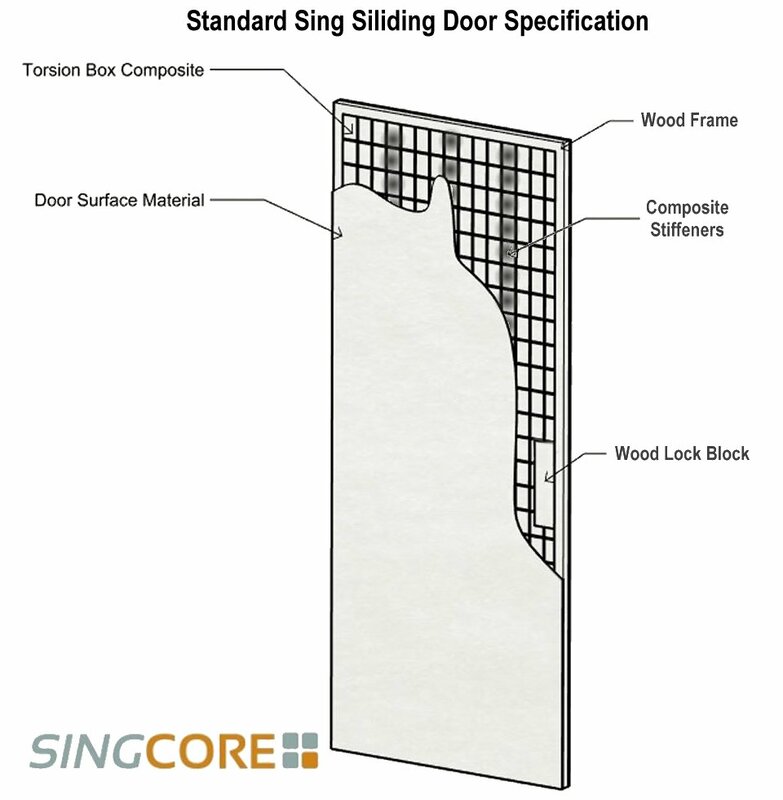 Professional Sing Core doors are manufactured with patented Sing Core material as the base interior substrate of the door with patent pending composite stiffeners to strengthen and prevent door warping over time. 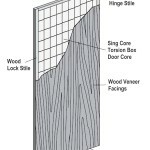 The Sing Core substrate material is created using a vertical grain natural wood torsion box design while the traditionally empty voids are filled wall to wall with your choice of EPS or urethane foam insulation, stiffeners are added to support the performance of the door for specific end use application(s). Other foam insulation material is available in various forms depending on your specification. 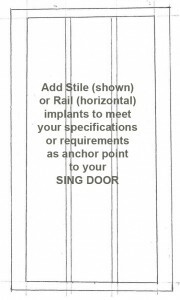 This default on this professional birch ply door is EPS foam. 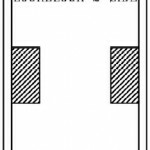 Natural wood lock blocks are positioned at locations as necessary for locking mechanism placement or as anchor points. 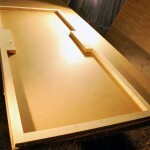 The core material is wood framed by 1 1/4-inch natural wood for finishing strength and attaching hardware. 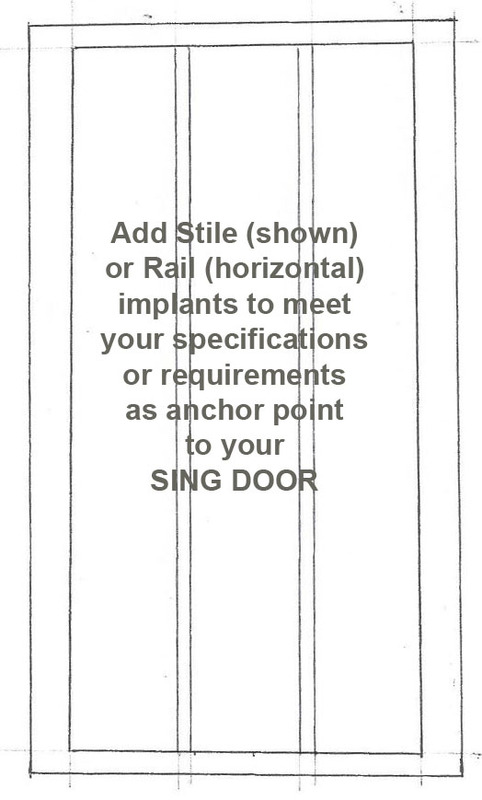 The torsion box is completed by adhering an exterior material (skin) according to your specifications. The default on this professional series is a wood-grain birch ply material. Bonding agent used in adhesion of the entire composite material is formaldehyde-free. 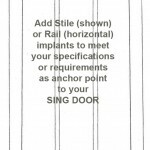 This professional 10 ft. tall, 5 ft. wide, 1.75 inch thick Sing Core manufactured door is unfinished (unless specified otherwise) and is guaranteed for 50 years for warp-free performance and structural integrity. Insulation Performance: Standard Sing Core professional doors feature built-in EPS insulation value of R3.5 or urethane at R6.5 rating per inch, or more, depending on architect’s specifications and the utilization of other rigid insulation material(s).